If you think you have to cross the Atlantic to stroll narrow cobblestone streets and visit ornate cathedrals, think again. A three-hour, non-stop flight from JFK will bring you to San Juan, Puerto Rico. The mood is decidedly Latin here, but Puerto Rico is a U.S. territory, so you can leave your passport at home. The entire seven square blocks of Old San Juan is made for walking. It’s a Unesco World Heritage Site, but you would be mistaken to think that this is a vacation destination exclusively for history majors. This dynamic, invigorating, 24-hour-a-day town offers fine dining, a trendy art scene, salsa music late into the night, casino gambling, shopping and lots of active recreational opportunities. Of course, don’t forget that sugar-white sand beaches are only a short bus ride from the old city. Here are offManhattan’s top picks for things to do in Puerto Rico–without a car, of course—including mojito workshops, cultural walking tours, island hopping, tax-free shopping, a sizzling nightlife, free trolley rides, and much more. San Juan was settled in 1521. The city oozes history, and you can’t help but feel it when you visit Fort San Felipe del Morro. 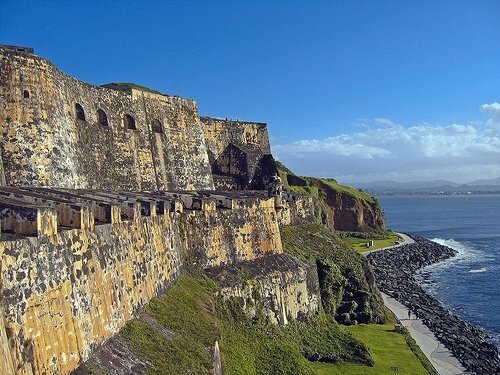 El Morro has been standing guard over the entrance to San Juan Bay for well over 400 years. The San Juan Cathedral is the third oldest in the new world, and Ponce de León’s mausoleum is located here. Plaza de Colón and Plaza de Armas are venerable squares and great places to soak up local street life. Calle Princesa is a broad, flower-filled, pedestrian-only street, where locals enjoy live music and are known to break out in impromptu salsa dance moves. When the strong Caribbean sun starts to get to you, cart vendors around town sell piraguas, crushed ice with flavored syrup poured over it, a perfect pick-me-up. If you want to learn about local culinary history, try the Mofongo & Mojito walking tour. A local guide will accompany you down historic streets, stopping at shops and restaurants along the way, where you will sample delights of the Puerto Rican kitchen. Move on to a hands-on mojito workshop and a mofongo-making demo, topped off with a delectable lunch. Old San Juan is home to a diverse variety of eateries, and you can walk to them all. Locals call the restaurant zone SoFo, which stands for South of Fortaleza. Many New Yorkers, whatever their ethnic origins, have been raised on Puerto Rican-style cuisine at the many Comidas Criollas that dot the five boroughs, so much of what’s on the menu here may be familiar. The unpretentious El Jibarito (280 Calle Sol) is the place to join Islanders for specialties like mofongo (baked, mashed plantains), camarones al ajillo (shrimp in garlic sauce), and gandules (pigeon peas) washed down with an icy Medalla, the local beer of choice. Seafood is as good as you would expect in an island nation, and Aguaviva (364 Calle Fortaleza) is the place to savor it. 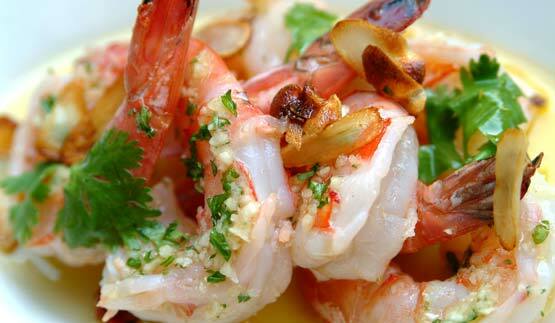 It has an extensive ceviche menu, if you are a fan of raw, marinated fish. La Mallorquina (207 Calle San Justo) is the grande dame of SoFo eateries, serving meals since 1848. Its old-fashioned atmosphere, tasty paella and authentic asopao, the local gumbo-like seafood stew, make it worth a stop. Puerto Rico is known for its coffee production, and Caficultura (401, Calle de San Francisco) is the place to savor a strong brew. Locals drink it all day, with a splash of milk. If you have a sweet tooth, La Bombonera (259 Calle de San Francisco) is calling your name. Some of the best cakes and pastries in town can be found here, and the ambiance is totally local. 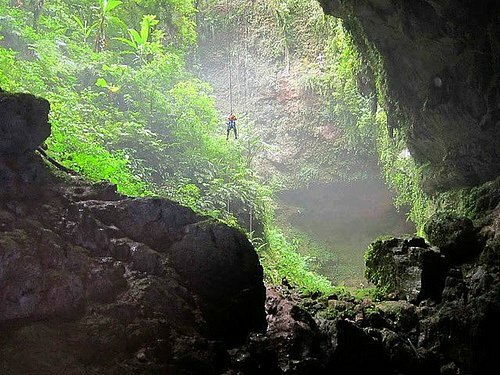 If you crave an adrenaline rush, an adventure to the Rio Camuy Cave System should be on your itinerary. The guides of Aventuras Tierra Adentro will pick you up from Old San Juan and lead you on a hair-raising, all-day adventure that will have you rappelling, zip lining in the darkness of a cave and body rafting, while getting completely wet and covered in mud. You can allow yourself to feel fierce and hard-core after surviving this challenge, as this Caving Adventure is listed in National Geographic’s Journeys of a Lifetime as one of the Worlds Greatest Trips. If lady luck is on your shoulder, make your way over to the casino. The glitz-infused Sheraton Old San Juan Hotel & Casino is located near the cruise-port facilities, and is packed with hopefuls. The vibrant neighborhood El Condado is a short bus ride from Old San Juan on the B-21 bus. An afternoon here should satiate your craving for sun, sand and surf. If you don’t feel like riding the bus in your wet swimsuit, a taxi shouldn’t cost more than $12. 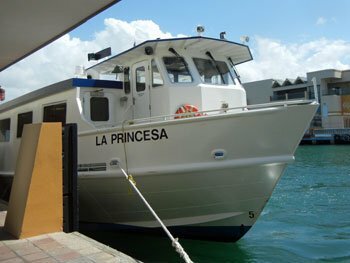 If you want to feel more sand between your toes, Isla Verde is a 45-minute bus ride on the A-5. 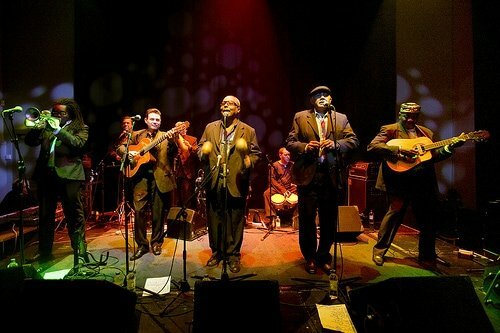 Nuyorican Café lives up to its reputation as one of the Island’s best live salsa clubs, and it is packed every night. If you’re staying at Da House, it is next door, so you can hop into bed when the sun comes up and the partying finally slows down. The area is loaded with art galleries. Galería Botello displays the work of prominent local artists, and much of what you will see here is full of tropical colors. The Gallery Inn is another worthwhile stop for art lovers. It shows the work of the artist/owner Jan D’Esopo, and doubles as a lovely 22-room inn. Cigar aficionados know that hand-rolled, Puerto Rican cigars are top quality, and The Cigar House has an eclectic selection. Butterfly People is a unique gallery that sells artfully displayed, mounted butterflies. The wings are preserved using a secret formula that locals swear keeps the colors intact forever. There is no lack of high-end shops in town, thanks to the absence of sales tax. If you’re looking for a kitschy souvenir t-shirt to bring home, you’ll have your pick, as nearly every street houses a cheap novelty shop. Stroll around slowly and marvel at the unique, blue-hued cobblestone, whose unusual color is achieved by combining iron and stone. If you do get tired, there are three trolley routes traversing Old San Juan, which you can ride free of charge. Flag one down, or wait at one of the clearly marked stops. The ferry ride across the bay to Cataño is one of the best bargains in town, at 50 cents each way. It will take you to the Casa Bacardi Visitor’s Center, where you can join a free 45-minute tour. It is the world’s largest rum distillery, producing 21 million cases each year. Give in to temptation, as a rum-based drink (or two) is gratis. Da House (from $80) is a low-priced, boutique hotel, with a ready-to-party-vibe. The staff is made up entirely of artists and each of the 27 rooms is individually decorated with original art, most of it for sale. There is purposely no in-room television, encouraging visitors to hang out in the gorgeous, sun-filled common areas. The rooftop terrace hosts a mojito party each Friday night, for $10 per person, drinks and salsa dancing included. The Casablanca Hotel (classic room/$95) is under the same friendly ownership, and its lobby displays some terrific pop art. 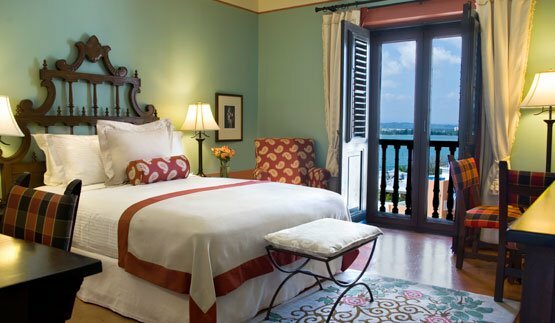 For a splurge, book a room at El Convento (queen superior room/$160), where old-world gentility and modern luxury meet. This pristine former Carmelite convent is one of the most romantic and lavish spots on the island. Even if you’re not staying here, have a nightcap at the secluded tapas restaurant, El Picoteo. How to get here: American, JetBlue and many other airlines fly to San Juan from JFK in just over three hours.When you arrive, take a taxi from Luis Muñoz Marín Airport to your hotel. It should cost you about $20 to get to Old San Juan. Uniformed officials at the airport will help you find a cab, and give you a slip with your exact set fare amount written on it, which you hand to your driver.